"The master of Middleham came mightily close to quitting the sport"
Shortly before this issue went to press, Mark Johnston became the most successful trainer in British racing history when Poet’s Society captured the Clipper Logistics Handicap at York’s Ebor meeting, taking him to 4,194 winners, eclipsing the figure set by Richard Hannon snr. The master of Middleham, who sent out his first winner in 1987, boasts incredible numbers, sending out at least 100 winners every year since 1994, on seven occasions breaking the double century. Yet, as he revealed in a sensational interview with the late Alan Lee in this magazine in 2010, he came mightily close to quitting the sport completely. “It was the end of 2004, we’d had our best season ever and I wanted out. I was hating every minute of it,” Johnston explained. “I spoke to my financial guru and asked him to find me a way out. He said he first wanted me to fill in a lifestyle questionnaire and from that it emerged that the thing making me miserable was the worklist – I never had it finished before 11pm, often it was past midnight, and I never wanted to delegate the task. With more than 200 horses in his stable, perhaps it’s not surprising that the worklist was causing such a headache for Johnston. Another interesting aspect of Johnston’s set-up is that it was used as a nursery by owner Sheikh Mohammed. If he excelled with a young horse, then there was always the possibility that it would be moved to one of the Godolphin trainers, as happened with future Group 1 star Monterosso. Sheikh Mohammed now appears content to leave horses, both homebreds and private purchases, with their original trainers. 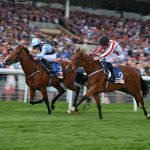 Which is good news for Johnston, trainer of exciting two-year-old Dark Vision, who was bought by the sheikh after his scintillating victory in the Group 2 Vintage Stakes at the Qatar Goodwood Festival. Mark Johnston has been closely associated with some top-notch stayers over the years, notably Gold Cup winners Royal Rebel (twice) and Double Trigger, and protecting the staying horse is now one of the industry’s key targets. In 2015, the Thoroughbred Breeders’ Association commissioned a report, which showed the British-bred staying horse was in decline. Working with the BHA and wider industry, a number of initiatives have now been implemented aimed at boosting the staying-horse ranks and encouraging breeders and owners to change their behaviour regarding this type of runner. TBA Board member Philip Newton, a key figure in the stayers’ project, explains: “We identified that there was an issue, the report confirmed all that we feared. It’s absolutely important for British racing that we have diversity of product. “We took it to the BHA and they were an open door, both creative and co-operative. It’s an industry initiative – between us we have put the infrastructure into the racing programme that can develop and encourage the middle-distance horse.” Read the report here. There has been air of mystery about Phoenix Thoroughbred since they burst on to the racing and bloodstock scene last year. 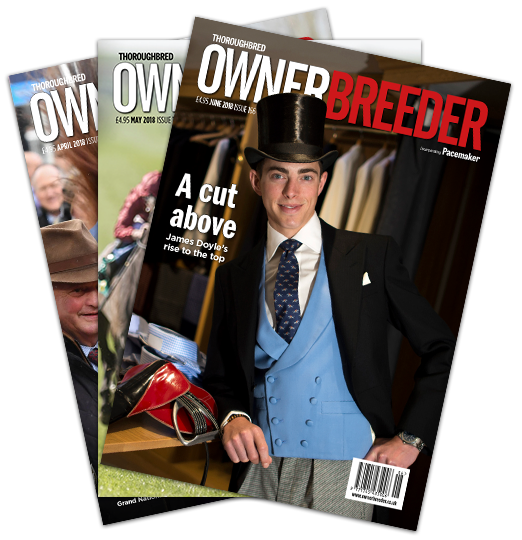 In this issue, Julian Muscat talks to CEO Amer Abdulaziz Salman about their exciting team of runners globally, including Group 1 star Advertise and Belmont Stakes runner-up Gronkowski, and ambitions in the sport.